History of Arsenal is closely linked with the history of the city, it is very interesting. 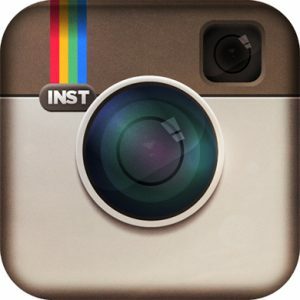 In this short article we will try to tell you about it. 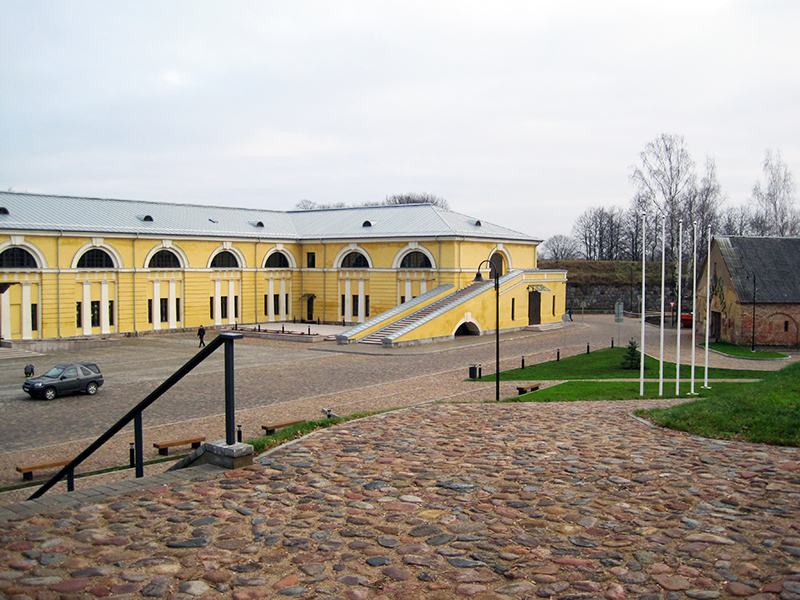 Artillery arsenal building is located in national memorial zone called “Daugavpils fortress with bridge fortification” (national security number 7428). The building itself is secured national architecture monument „Building Nr.27 Artillery Arsenal”. It is two levels building built out of bricks in Empire style. Exterior walls are built from various sizes and profiles clay bricks, and then plastered. Building facade is made with vertical pilasters and niche rhythm and horizontal rustication with expressed ledges. Indoor architecture is featured by distinct cross and cylindrical vaults rhythm of enfilade and mutual illumination from both sides of the building, causing chiaroscuros. Building has double cap, made up of granite slabs and plastered brickwork. Roof is four-sided. Building has U-shaped configuration with median avant-corps and side ramps on the southern facade. August 31, 1831 Russian Emperor Nicholas the 1st ordered to start the artillery arsenal building project development. The place for arsenal building (assigned Nr. 60) was chosen between Michail’s and Nicholas’ gates. 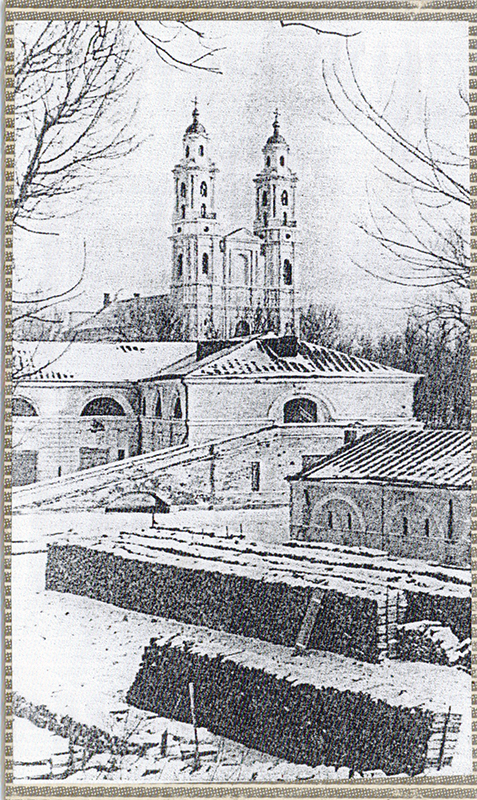 In the year 1833rd construction works were completed. 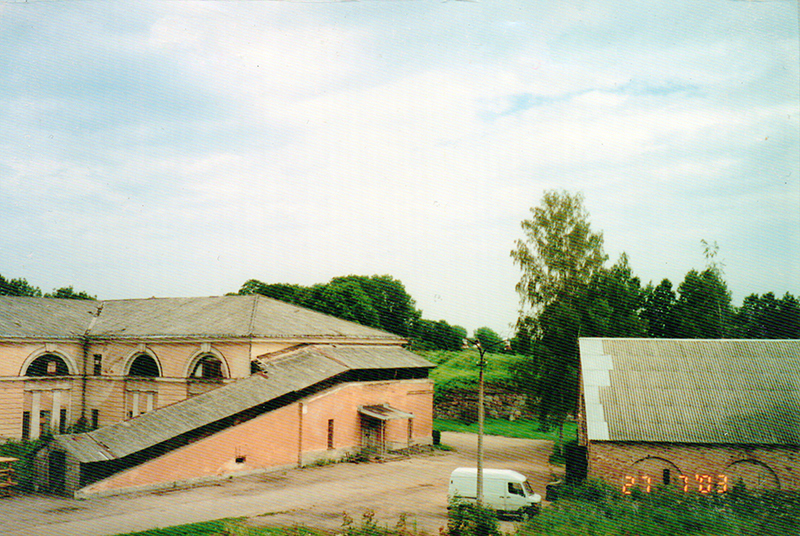 Upon construction completion the entire war artillery arsenal was transferred from Vilnius to Dinaburg (Daugavpils). Artillery carriages manufacturing and repair workshops deployed inside the building, as well as field and fortress artillery ammunition storage facilities and repair shops, that were necessary for the fortress and garrison military equipment. Its original function of artillery arsenal building was completed until mid-twentieth century. October 4, 1947 Dvinsk Military Aviation Technical School was formed up inside Daugavpils fortress. And in late August 1948 the arsenal building was adjusted for cadets’ canteen. Cadets’ barracks were located in the building since 1976 till 1993. After Military School has been transferred to Russia, arsenal building has not commercially been used for many years. Once in a while square in front of the building appeared to be a place for gathering people for City Days celebrating. From time to time art and photo exhibitions were happening on the 1st floor inside the arsenal building. In the beginning of 2007, Daugavpils City Council of Education and Cultural Affairs Committee have confirmed the Daugavpils Mark Rothko Art Center establishment inside the artillery arsenal building. Technical project for DMRAC was made by local architectural bureau „ARHIS” in 2008. Renovation work has begun in May ‘2011. Saving the original historical project of the building and environment were among the biggest priorities during the process of renovation.